Maruti Baleno price in Lucknow starts from Rs. 5.55 lakh (Ex-showroom). Baleno is available in only 13 variant. Maruti Baleno's top competitors are Hyundai i20 (price starting at Rs. 5.50 lakh in Lucknow) and Maruti Swift (price starting at Rs. 4.99 lakh in Lucknow). Share your experiences with Baleno? Q. 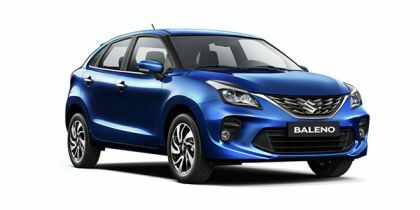 Which car to buy car between Baleno 2019 or Hyundai i20 Active, which is best in mileage and maintenance? Q. What is the price, maintenance cost and mileage of top variant diesel in Jaipur? Q. Should I go with Delta diesal model with added specifications or for Alpha diesal model directly also on road price in Patna Bihar is more than 70 k than in Ranchi Jharkhand. Can I lower the difference some how as I hv to purchase through EMI and I am a resident of Patna? Q. Which car is better option in 6.5 lakh? Suzuki Ignis delta model without any doubt. Confused about Maruti Suzuki Baleno?